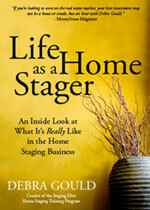 Staging Diva is featured in the cover story in the August issue of Michiana House & Home magazine. I was especially pleased that they included StagingDiva.com in the Resources section at the end of the story. If you’re a member of the Staging Diva Directory of Home Stagers, you’ll definitely benefit as readers search out local home stagers.